True simplicity in physical form, this clever and surprisingly handsome industrial coffee table designed and built by Jonathan Niemuth requires no plans, drawings or dimensional decisions. A trip to the local hardware store for a few wrenches and a rectangular sheet of solid glass is all it takes. 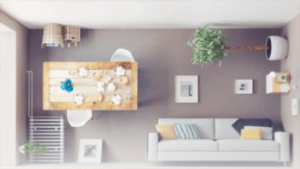 Spend a few minutes assembling the parts, and your own custom furniture piece is finished. 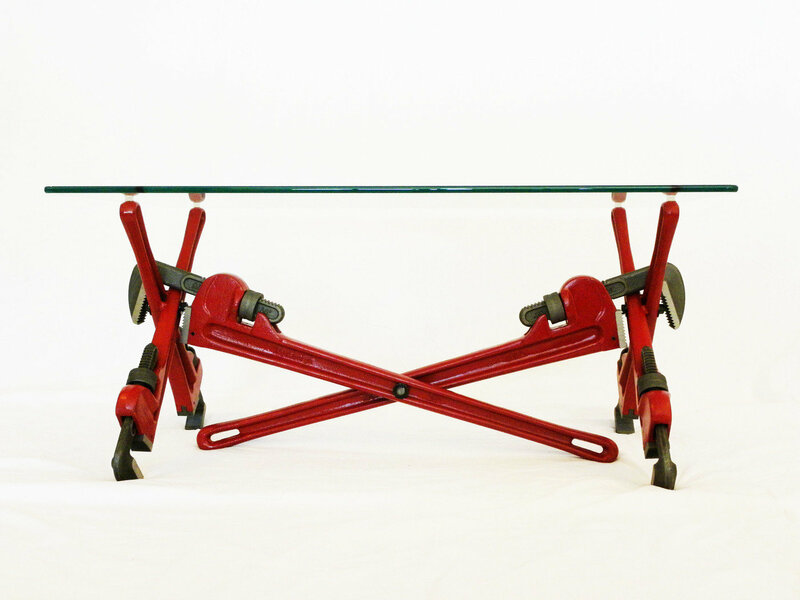 “Inspired through working in construction, I designed the pipe wrench coffee table in my head and was finally able to build it,” says Niemuth. His unusual idea paid off, resulting in a highly unique piece that looks like a collectible. A pair of pipe wrenches forms an industrial-style ‘X’ shape on either side, providing four primary points of contact both for the surface supported above and the floor below. 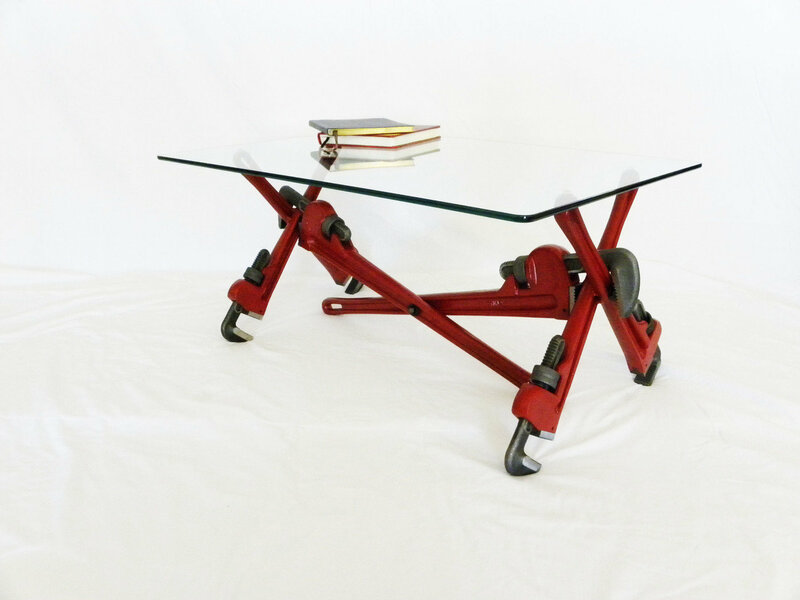 A bit of red paint applied to all of the wrenches used brings the design together and gives it a sculptural appearance. You might not guess, if you didn’t know, that this is a DIY coffee table. Cross-stabilization works via two longer wrenches (tucked nicely out of the way in the center) that lock each ‘X’ into place, dealing with lateral loads in a likewise efficient manner. 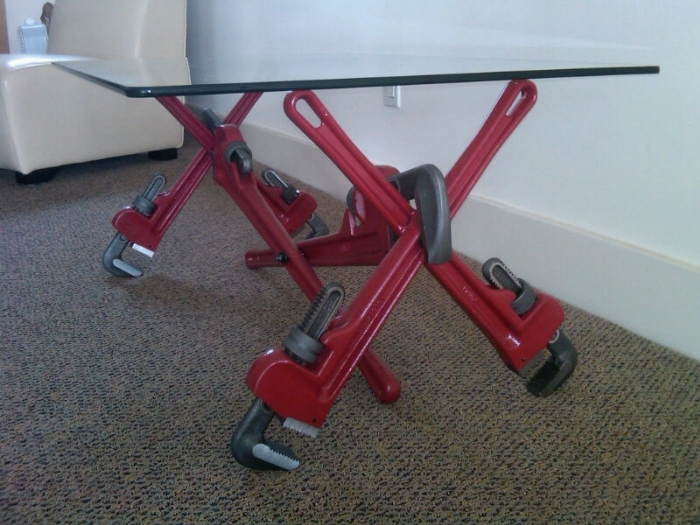 One could imagine a series of simple do-it-yourself variants on this project, too, giving it possibilities as a desk or other work surface if six long wrenches were used instead (and a solid top replaced the coffee-table glass). Storage and transportation? 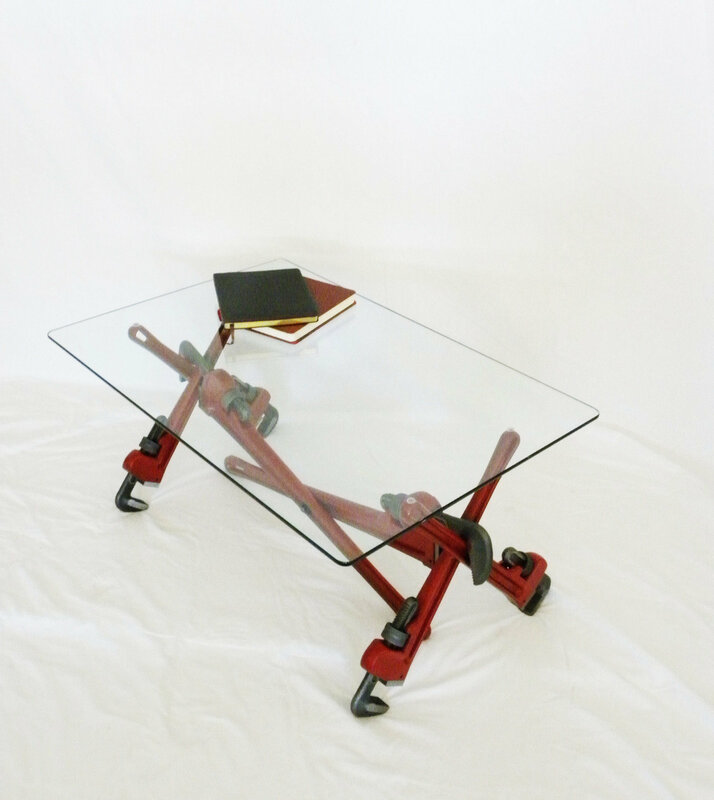 Save for the glass sheet this would be easy as well, of course, since you simply unscrew the wrenches from one another and toss them in the corner of your garage or workshop – no one would ever even know they were table legs! It looks a little out of place in an ordinary living room, but would work great for an industrial loft or similarly-styled space.